Post news Report RSS	CS16Client v1.0 release! 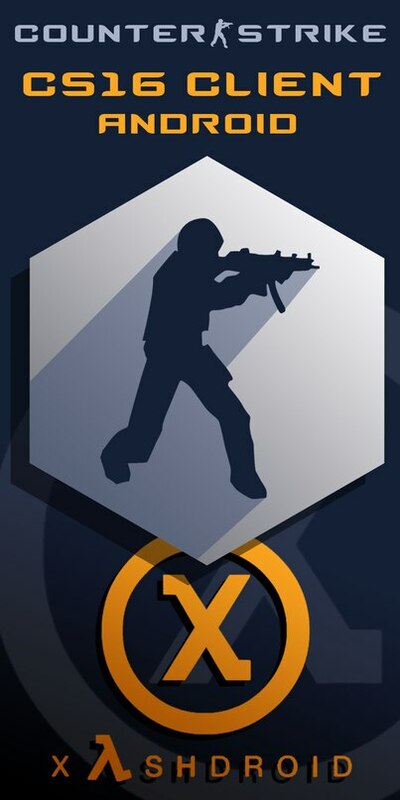 First stable and public version of CS16Client -- best Counter-Strike 1.6 Android port. "Best Counter-Strike 1.6 Android port"
I'm glad to release the first stable, public version of CS16Client. We worked hard for a half-year and now it's playable fully. We got a 95-100% compability with original CS1.6. New game requires installed Xash3D Android v0.17.1 or higher. Download links will appear in Download section in our ModDB page. Before playing, make sure you have deleted all pak files in cstrike folder. There's been an ongoing problem where I can't start a private server, I click start game and nothing happens, is this fixed in the official release? Also are bots included in this release or do we need to address that in the cstrike folder? I'm having a problem too, it seems the movement directions were inverted for some reason (swiping to the right makes my player go left and swiping up backs up), also, the scoreboard shows right after I select my team/player and I can't unshow it. I've deleted all pak files inside the cstrike folder and even touch.cfg. I'm using the CS1.6 package from this moddb page as well, and I've tried it with the multicore and singlecore apks, same problem persists. I'm using an Asus Zenfone 2 if that matters, and I'm going to try this on my old smartphone just to check. Exactly the same problem on the same device. Got an other phone though, I'll try on it to see if the problem is still there. Yea it's working on my old phone with the exact same files and apks (this cs version, and your xash3D 0.17.1). - The old scoreboard is always shown, can't hide it even with commands. The rest seems to works fine, nice work on this release though, it's really cool to play cs1.6 on android. now that's odd, its working fine on my old phone (1Ghz Quad Core 1GB RAM - Mali400 gpu), I do not even have the scoreboard problem on it. Maybe I just need to reinstall this on my Zenfone. It's an x86 processors problem. Fix will be soon. Cheers from Jerusalem. I've been following your ports since half life 1 port and it has been amazing. I've been playing multiplayer with it by opening a WiFi hotspot and connecting other device's to my device and playing local. Which makes me think, is it possible to add bots to cs, if we don't plan to play online? Guys how do we buy weapons and add bots?? One question, how to add metamod and amxmodx for this game.. i use the original setting like pc but the metamod not load, any help?.. just want to play deathmatch with bot..
Amx Mod X),Because My CS 1.6 Is Precache Over 512 Files Limt And Cannot Load Maps And Mods,Including NST,CSGO Weapons Plugins,And Custom Weapon Plugins Of Sneaky.amxx(User At GameBanana.com) With That In Xash 3D Amx Mod X Works If Xash 3D Is Previous Version Of 2016 Or 2017 Than Amx Mod X Works Of Old Version Of Xash 3D. Or If Any-One Join To Any AMX MOD X Server Than AMX MOD X Work.